It’s not every day you get to look inside a major electronics factory. Most of the work done there is compartmentalized and the manufacturing done for one company never touches the manufacturing done for another. 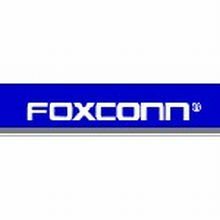 In fact, Foxconn’s R&D labs consist of a series of locked doors. You can only get into one and that’s only if you’re allowed in to see prototypes. It’s an amazing world of secrecy and deception. That’s why it’s quite interesting that BusinessWeek got to sit down with Terry Gou inside the Foxconn factory in Shenzhen. There they learned about the company’s efforts to stop everyone from killing themselves (parades, chants of “treasure your life”) and still maintain the backbreaking pace required of modern manufacturers. Gou got his start making connectors for Atari game machines and slowly became the go-to guy for getting it done in China. His factory now pumps out 137,000 iPhones per day. It’s an interesting profile on an elusive character. The company’s main focus has always been secrecy and when the worker suicides became big news, the Gou realized he needed to start talking or be forced to accept what its customers were saying about him. After all, if you can’t sue journalists into submission, you give them an exclusive. It’s a mercenary position, but this is a mercenary industry.